2. Tell us your engagement story! 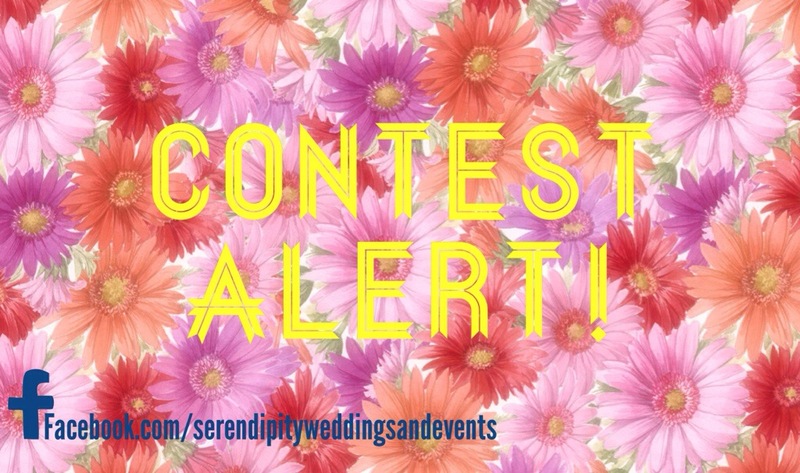 Submit a picture of you and your fiancé along with the story of how he proposed to serendipityweddingsandevents@gmail.com by midnight on June 14th. 3. Win by getting the most Facebook “likes”. All likes before midnight on Sunday June 29th will be counted! The winner will be announced on Monday June 30th on Facebook. First Place will win a Free “diamond” package. Second place wins 50% off either the “Diamond” or “Pearl” package. All other submissions will receive 20% off any package. Please note: Serendipity Weddings & Events has the right to deny entry without just cause to any submission. All entries must be submitted via email by midnight on June 14th in order to be included in the contest. Once you have been added to the contest album, friends and family can start “liking” your picture for votes. Winner must be willing to write a review and sign a photo release form for future promotional advertisements. This entry was posted in Contests and tagged contest, event planning, free wedding planning package, southeast michigan, wedding planning. Bookmark the permalink.